Short lengths of soft cotton string. 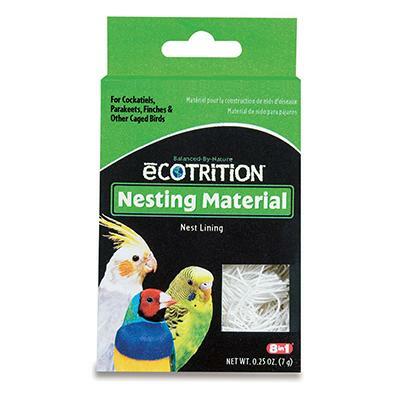 An ideal nest lining for small caged birds which use nesting materials. The self contained dispenser enables your bird to line its nest with the proper amount of material for successful breeding.